Two contractors at the Savannah River Site (SRS) in South Carolina have been indicted this week on charges of defrauding the federal government. Prosecutors indicted Phillip Thompson and Aaron Vennefron on 15 counts – fraud by wire, radio or television; conspiracy to commit mail fraud; and conspiracy to defraud the United States. Phillip Thompson is the owner of a company called Wise Services that provides contract construction laborers and other services to the mixed oxide fuel (MOX) fabrication facility at the SRS site. 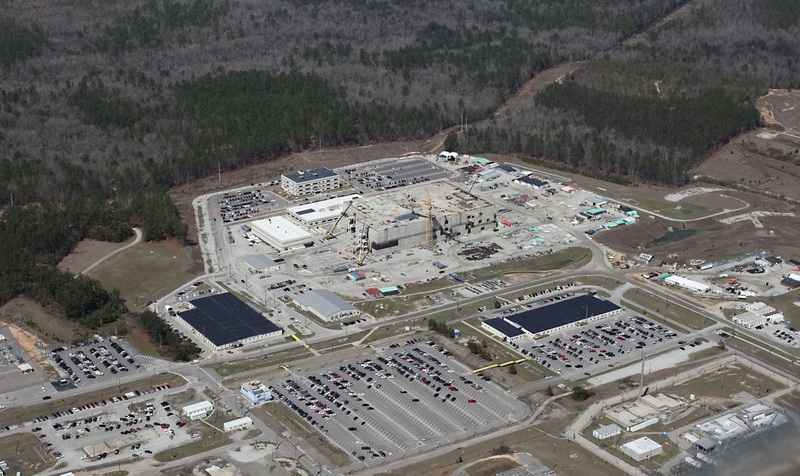 The controversial MOX facility was designed to process weapons-grade plutonium into nuclear fuel to be used at commercial nuclear power facilities, but has cost taxpayers over $4 billion so far and is years behind schedule. In 2008, Thompson purchased materials from a hardware store in Hamilton, Ohio, where Aaron Vennefron worked. Purchasing the materials from the hardware store was not illegal, but over time Vennefron and Thompson began conspiring to get money from the project by submitting false invoices. Vennefron would fraudulently invoice Thompson for non-existent goods. Thompson would then pass those invoices on for reimbursement to Shaw Areva Mox Services (the company that oversees the SRS MOX project). The two men would then split the proceeds of the funds they got in return. In 2010, Vennefron started a company called AV Security, with the sole intention of submitting fraudulent invoices to Wise Services for non-existent work. There are still many unanswered questions, like how close were the overseeing companies and the DOE really scrutinizing reimbursements and payouts? This is not the first concern raised about waste, fraud, abuse and mismanagement at the MOX facility. An indictment like this should call for in-depth analysis of the operations at the MOX facility to ensure that taxpayer funds are being utilized appropriately.